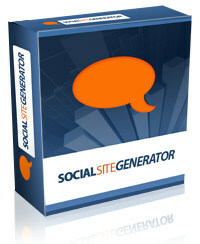 Social Site Generator - Software Factory, Inc. Experienced Just a Tiny Percentage of Their Success? Â It is Estimated That Facebook Earns $1.5 Million / Week While MySpace earns about $30 Million Per Month! Most marketers have not fully tapped into the Social Network revolution, because until now, there hasn’t been ANY reliable scripts that can build, manage, and easily maintain this type of complex network effectively. How would it feel to build and dominate a Niche Social Network, that will produce large mailing lists, as well as a loyal following and hot prospects for your products and services? Imagine YOUR customers, giving praises about how great your product is, and than sharing those praises with other like minded individuals. What Kind of Impact Would That Cause For Your Company? Rather than focusing on becoming the next MySpace or the next Facebook, you should focus your efforts in building a Social Network that serves a purpose and unites the members of a particular niche. Now you can offer your users all the perks that social networks have to offer, and finally tap into the Social Network phenomenom, once and for all! 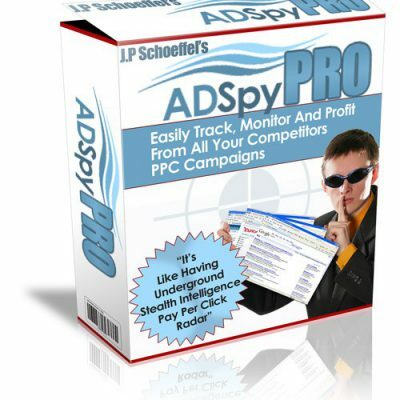 Boost Your AdSense, Affiliate, and In-House Product Revenues! Attract more page views from Search Engines combined with Viral Marketing. Display TARGETED ads in the User’s admin area, and throughout your network. gain major exposure for all your products and services. 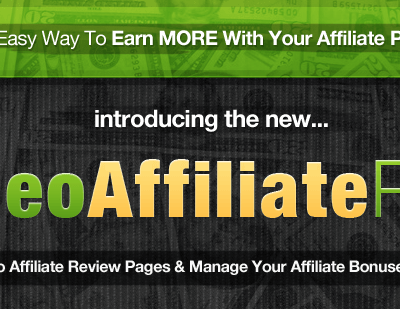 Do you know the top affiliate programs in YOUR niche? Join all the hot affiliate programs, and PLACE THEIR BANNERS within your network, if the program converts well, now you’ll be getting paid every time a sale is made! Want to increase your AdSense revenue? Place targeted ads in the user’s profile admin area, and throughout your Social Network. Our scripts let you place ads throughout the pages which you can monetize most. MySpace earns about $30 Million a month from AdSense alone! The best part of all, you are building a HUGE user base, that you can market to in the future! The opportunities are endless, when you own one of these powerful social networks. ..and Build Them Just Like MySpace & Facebook! Let Me Tell You A Little More About These Astonishing Systems! And will change your life forever! I’ve always harbored the idea of owning a Social Network because of the immense potential that it has in terms of growth in database as well as traffic. But starting a social network from scratch is a really daunting idea considering the sheer amount of programming and testing involved. Of course, I could have hired a programmer to create a script for me from scratch, but that will certainly cost me a bomb!Â Your script has saved me from burning a hole in my pocket and has offered me a highly reliable, professional and yet affordable solution to run my own social networking site! Furthermore, your team is constantly developing new additions and upgrades that are automatically made available to all SSG members. In just a couple of months, the script I bought has been updated numerous times already! Your team has also spent countless of hours making a great deal customizations to our site and has responded to all our support issues promptly. Even though I must admit we did not exactly start off too well due to some miscommunications, you have certainly over-delivered on all our subsequent demands. And who knows? Anyone might be holding the key to the next Facebook or Myspace just by purchasing the SSG script and customizing it to become their very own social network. I certainly wouldn’t mind that! So I strongly urge others to join me as well! By Popular Demand: Now You Can FULLY manage your members, add them to Cool New People, Search for Members who signed up today, and so much more! In the following video you will discover the NEW Customization Section that will teach you exactly how to edit the MAIN profile categories, and the sub-menus that go along with them! By Popular Demand: Now You Can FULLY Edit MOST of the profile fields that appear on your member pages, so you can FULLY customize your network, for any NICHE you Desire! But that’s not all, you will also discover how to use the New Widgets to manage your home page content, as well as our customizable Themes Section! Now You can Enable or Disable specific modules within your network, in case you don’t wish to offer any specific modules. For Example: If you don’t want to offer Classified Ads and Forums for your network, you don’t have to, and you can set this up just one click away! Learn more about this and more, in the main Settings Video that walks you through every step of the process. Now you can Manage your Google AdSense ads for each and every section of your entire Network! Or you can set up one “Master ad” that will be displayed on all appropriate sections. But that’s not all, you can also rotate the banners any way you wish! If you wanted Banner A rotated 20% of the time, and Banner B rotated 80% of the time, you are able to set this up very easily, and target specific sections throughout your network! Now You Can Auto Approve Photos – or make photos “PENDING” for approval before they are displayed on your network. Now You Can set the Max Photo Size, and set a Photo Limit to be uploaded on your network. Now You Can Auto Approve Videos – or make videos “PENDING” for approval before they are viewed on the network. Now You can Upload and embed YouTube, MySpace, or Google Videos DIRECTLY into your Videos Section. Plus, you can fully enable, disable, or feature any videos you desire on your network, even your home page! Plus, your members can easily upload .wmv & .flv files to your network. Our software is also FULLY compatible with Google’s NEW Video Ads! NEW VIDEO: In this video you will learn how to fully take advantage of the “Media” section in your Admin area, and how to manage your Photos, Music & Videos. Add, Edit, Activate, De-Activate News for your network via your Admin area, and display featured news on your home page. NEW MODULE ALERT: Now You Can Fully Activate or De-Activate RSS News Feeds directly onto your home page, very quickly and easily. This video Explains ALL! Main Network Settings – In this section, you can fully customize all of your Network’s key settings. NEW: Add keywords and Descriptions to your home, and member profile pages, thus increasing your keyword density throughout your network. Module Settings – In this section you’ll be able to activate or de-activate any modules in your network. Sign-Up Settings – Control whether you want new members to sign up freely, or by Invitation ONLY. E-Mail Management – Now you can easily edit the emails that go out to your members upon registration, when they request a Lost Password, Group Invitation, Event Invitations, and more. E-Mail Header for you to manage the header graphic that appears In your HTML E-mails. Block IP’s – This section is pretty straight forward, and allows you to Block ANY IP’s you don’t want accessing your network. Donation Settings: Â By popular demand, we added a service that allows your members to send donations to one another! Upon activation of this module, in their profiles, you will see an icon called “Make Donation”, the member will then be taken to a PayPal donation button, and be able to send any donation desired! Top Featured Artist Settings – In this section, you can enable or disable your Top Featured Artists to be displayed on your home page or not. If you disable this section to “No”, you’ll have the option to enter custom content into this section instead. Google Analytics – Now you can easily enter your Google Analytics code, and be able to track every page on your network! Blogs – Your users will be able to create, manage, and share their blogs, with their family and friends. Blogs are an easy way to share your thoughts, your users will get to know you better, and become more familiar with who you are. Music – By far one of the most popular services a Social Network can offer, is to allow its users ( bands ) to post their music online, and share it with fans and friends alike! You can also keep track of the events, and fans for your band. Videos – Video is making a huge impact in the Social Networking phenomenom. People love to share funny videos, favorite videos, and much more. Now you can let your users, upload, and share their videos with everybody on their network! Events – The events section lets users post, share, and manage their upcoming events, they can invite their friends to attend, keep track of who’s attending, this way you can keep track of the guest list for your events. Calendar – Your users will have a calendar of events that they can use to keep track of their activities, and share it with their friends. Classifieds Section – Let your users post classified ads, or post to the marketplace, this way they can interact with others users, and be able to sell their items, find a room mate, and much more. Clubs – Your users can create and join different clubs that appeal to them. This is another great interaction utility that helps unite your users of Social Networks together. .
Groups – Your users will be able to create and join groups based on their interests. They’ll be able to add topics to the groups, and interact with group members. Chat – Yet another great interaction tool, where your members can chat live with each other. We have added a brand new Flash chat client, that is very easy to use! Are you starting to realize why these networks are so effective? Simply because they give users full control, and a LOT of interaction tools! Rate Members – Your users will be able to rate one another, rate their photos, and more. Search Feature – Easy to use Search service, to find anyone within your network. Forum – Forums always have a way to get users to interact with one another. Any of the forums are fully customizable and created by the users. Mailbox – Members can send and receive email messages from one another, and manage the responses through the easy to use online interface. Member Donations – As a popular request, we added a new service that makes it easy for you members to send donations to one another via PayPal. WOW, that’s quite a long list of all the services that you can offer your users. It’s no wonder why Social Networks are so popular! I ventured into Internet Marketing early this year. I tried various systems to make it on the online world. Of course opportunities presented to newbies abound. But you have to find the gems from the crap. There are many old timers making money selling to newbies on how to make money. LOL.Â When I came upon Social Network Generator, I was just ecstatic. The program has the look and feel of a high end quality software. Â The functionality and flexibility goes beyond the large social sites. SSG is truly a gem and I feel I have found my holy grail. Carlos, you have an awesome product and no doubt your product launch will be successful. Interest in social network sites will explode, so protect your product and be wary of snakes in the grass. I know, because in an earlier life, I had a proprietary product that was stolen. It cost me several thousand dollars to litigate and never recovered. (Essentially my retirement money). Here’s the low-down so pay close attention. OK? Now, you too can get your hands on the powerful scripts that build and manage your very own social network. Remember, it is wise to build a social network around your niche, since chances are, no one else in your market is tapping into this craze. Wouldn’t you want to be the first? What if you wanted a script like Facebook made by a programmer – how much do you think it would cost you? Plus, how long would you have to wait? Let’s Analyze the Costs of These Projects Shall We? How about a MySpace clone? Average bid $3,228.05, highest bid is $10,000! You Won’t Have to Pay As Much As $10,000! Not even close, keep reading to find out how you’ll save 99%! These 2 powerful systems are being created for as much as $10,000, you’ve seen the real proof at the freelancing sites. You also know that $10k is a drop in a bucket compared to how much revenue you can make in return. Your key is to enter and dominate different niches, build a Social Network just for them, where your subscribers, prospects, and customers can interact with one another, and learn from each other, surround your products and services around your network, and you too will experience massive success that these networks have to offer. You will not have to pay $10,000 however, these systems will become a part of a package that will sell between $495 – $995, and when it’s all said and done, it will be a bargain, due to the massive results they will generate. Your success story will be a part of a bigger project to be released later this year, therefore, I will do everything in my power for you to have a stable, and powerful solution. You can be among the first to own, and put these Social Networks into massive action. For a limited time, you will be able to virtually steal this powerful script for only $147. Â Only 50 Lucky Customers Will be Able to Launch Their Own Social Network at this Price, Will You Be One of The Lucky Few?